The band started 1997 under the name Cadaveri with Alex and Manu in Beaucaire (south of France). 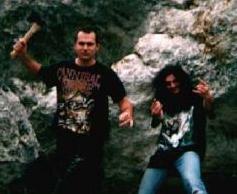 They composed 7 songs for their first demo (extreme Death Metal). After that Demo they changed their name to Funérailles. Not to be confused with Funéraille.